Cannabis is the UK’s most commonly used illegal drug. 14 million people (22%) of the UK’s population have taken the substance. Many people assume that Cannabis is harmless. However, once the body has built up a tolerance to the drug, the user could potentially start taking harsher substances such as heroin or cocaine. If you or a family member are addicted to cannabis, it is essential to speak out and get help. For more information, contact our admissions team on 01226 422 545 we’re open 24 hours a day. Can you get free residential cannabis addiction treatment on the NHS? Unfortunately, there is no such thing as NHS residential rehab. All residential rehab and detox clinics are privately funded. Government funding is scarce and takes a long-time to apply for. To apply, you will need to contact your local DAT (Drugs and Alcohol Team). If you do manage to acquire funding the waiting lists are very long. NHS funding is only giving out in exceptional circumstances. The fastest way to access drug rehab is via the privately funded route. If you or a family member can finance this, we can arrange an immediate admission and get you back on track. 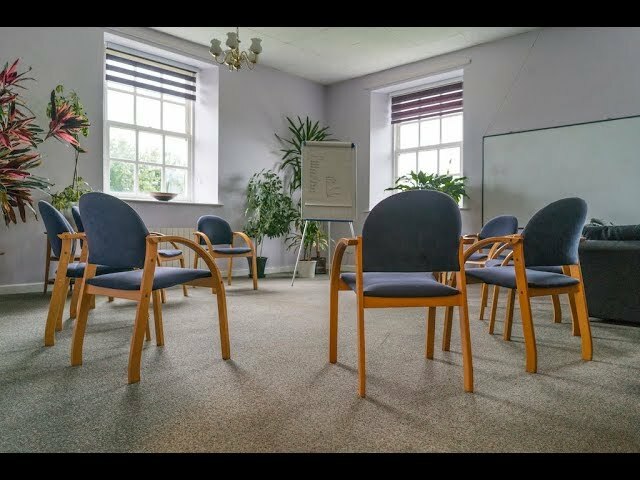 By choosing a private detox and rehabilitation centre, you will receive help and support every step of the way. We understand that withdrawing from cannabis is not easy. You’ll get everything you need so you can focus on recovery. How to treat a cannabis addiction? Depending on the individual’s dependency to cannabis, the duration and intensity of the withdrawal process can vary. To overcome the withdrawal process, cannabis users will need willpower and determination to succeed. Whilst in residential drug rehab, it is possible to provide prescription drugs to help treat the above symptoms. During this phase of treatment, we strongly recommend getting professional medical attention. It is most likely that cannabis users will have strong cravings and keeping these urges under control is crucial. For more information on our cannabis addiction treatment programme, call our 24/7 support line on 01226 422 545. Withdrawal from Cannabis is hard, but we're here every step of the way! We understand that overcoming an addiction is a significant challenge not only for the drug user but for family members too. At Linwood House, we’ve helped people from all walks of life to overcome their drug addiction. For more information on advice and admissions, call 01226 422 545 in confidence and make the first step on the road to recovery. After completing the withdrawal programme, the individual will begin intensive therapy. Rehabilitation allows the individual to understand the cause of their addiction. During drug rehab, the patient will have numerous group therapy and some one-to-one sessions. Cognitive behavioural therapy (CBT) allows the individual to explore what triggers their behaviour and how to create new associations to their previous lifestyle choices. Overcoming any drug addiction is not easy and takes time. It is vital to have a support group after leaving rehab – whether this is family or friends. When individuals leave Linwood House, our work is far from done. Individuals who have completed a detox or rehab programme that’s lasted three weeks or more qualify for 12-months free aftercare. You will benefit from a monthly aftercare workshop, plus a family aftercare workshop. If you are or a loved one need help with a drug addiction problem call 01226 422 545 we are open 24/7.